There is no inventory to stock. There are no orders to take. There is no order fulfillment either. 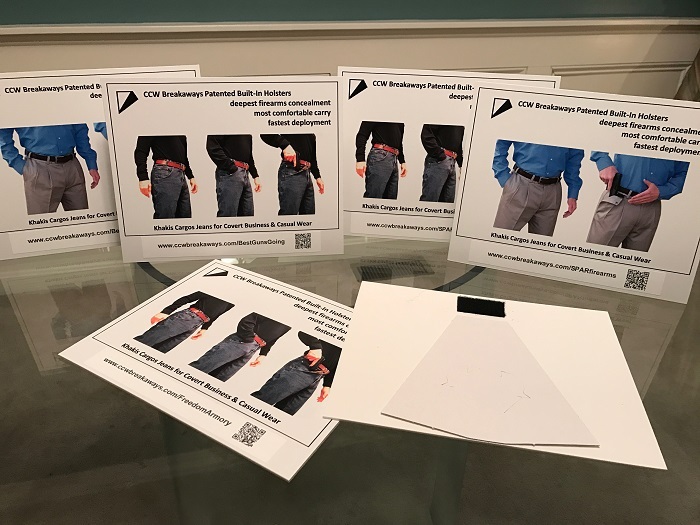 All that is required is to display the banners in your store, on your website, on your Facebook site, in your newsletter email blasts, or at your cash register check out. When your customers scan or click on the banner, and then place an order, our e-commerce system credits you with the sale. See the images below. We fill the order and we drop ship. You literally do nothing but collect revenue. 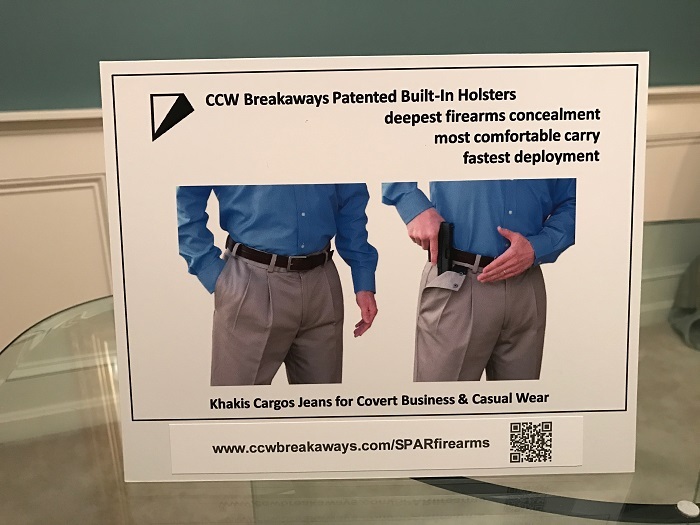 Just connect with those who follow your passion and expertise for concealed carry. Those who see your "advertising" will just have to click on a linked banner (like the sample here and below). The link will lead them to our website and establish you as the sales agent. Then your account gets credited for the sale. Do I have to stock inventory or fill orders? No. 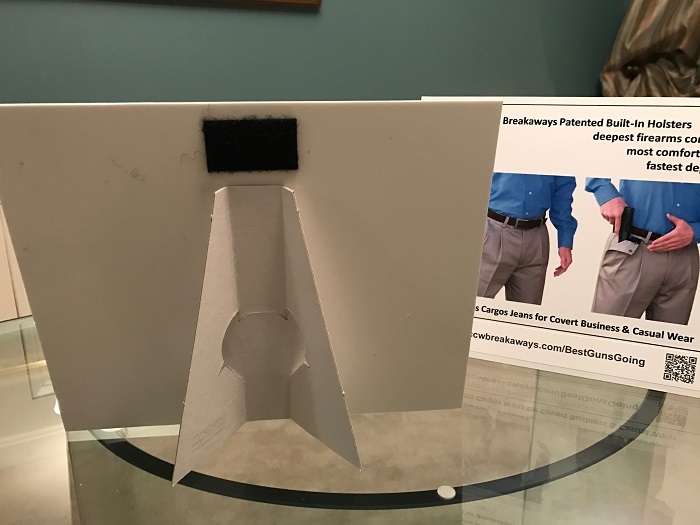 You do not stock any inventory, but if you're a Brick and Mortar store, it is helpful to have a sample of at least one Khaki, one Cargo, and Jean on display. The unique design and the quality of the products sell themselves. No. You do not have to fill orders. 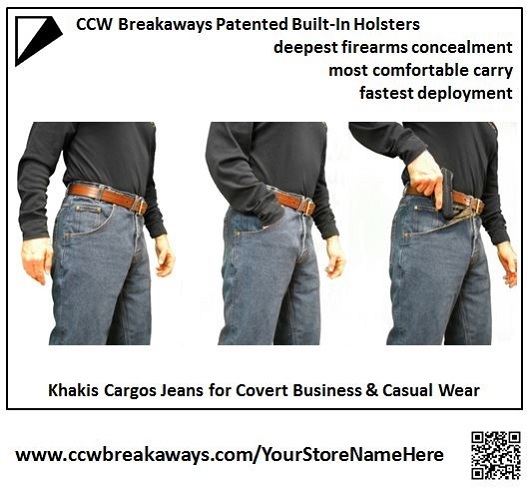 The orders are generated on the CCW Breakaways website. Our fulfillment system sends the orders to the end user by USPS Mail. Who are the ideal candidates for this program? Customers with email, Facebook, websites, blog sites and who may be NRA or CCW Instructors. Sporting Goods Stores with FFL's. LEO & Tactical Brick and Mortar or Online Stores. Is there a cost for signing up? Will everyone be accepted? No, there is no cost for signing up, but there are practical economics to administer this program. There is no maximum on sales volume, but you ought to be able to generate at least ten orders per month to cover the administrative costs. 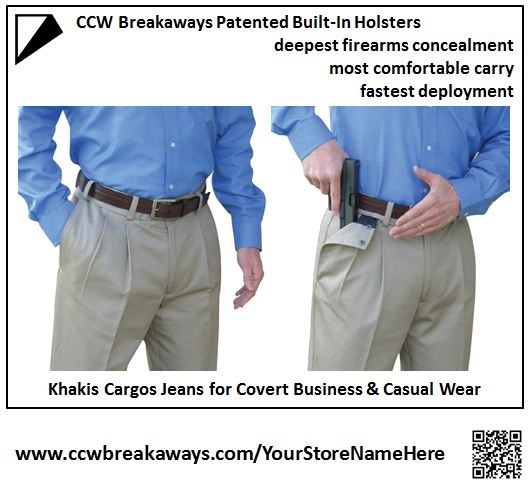 CCW Breakaways will provide you with a secure logon and access to our e-commerce engine that runs the affiliate app on our website. You will have a control panel where you'll be able to monitor your web visitors, sales, and commissions. 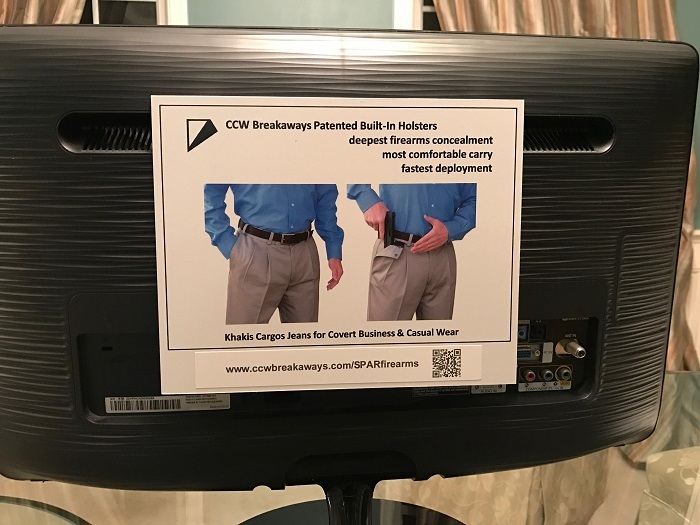 CCW Breakaways will provide you with JPG banners, PDF handouts, and HTML codes. Examples are displayed throughout this webpage. There is also email and phone support for setup and maintenance of your ad campaigns. Send us an email by using our Contact Us webpage. Tell us a little about yourself and your following. Provide a website if available. We will get back in touch and arrange a discussion by telephone or Skype. Copyright © CCW Breakaways . All Rights Reserved.